We want to use this medium to inform all 2016 UTME candidates that based on previous experiences, the 2016 JAMB Change of Course and Institution may likely come to a close on Friday 29th, April 2016 and even if there's going to be any extension, it may not be more than 1 week from the stated date. We understand that many candidates are waiting to know the cut-off marks of their respective institutions before making the decision on whether or not to go for change of course and institution. However, many of this institution usually wait until announcing their post-UTME sales of forms to make known their cut-off marks. If you wait that long, you may have only succeeded in putting yourself in an unfavourable position because change of course and institution would have been very much over by that time. 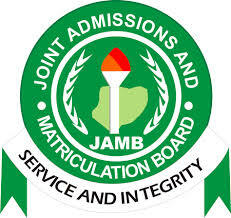 0 Response to "Closing Date For JAMB Change of Course/Institution for 2016"